I figured it was time to have a bit of a reminisce over some of the guitarists we sort of forget every now and again. 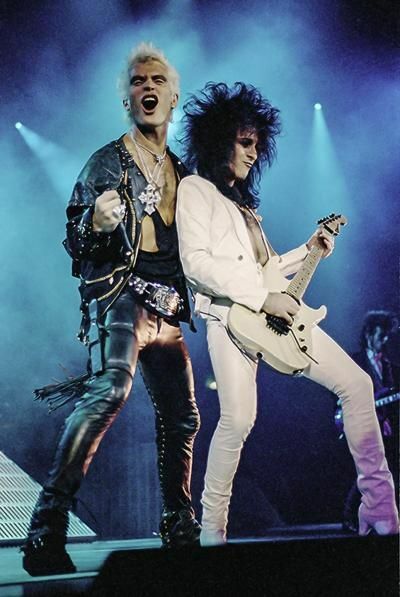 A prime candidate is Steve Stevens, mostly famous for being Billy Idols wing man. 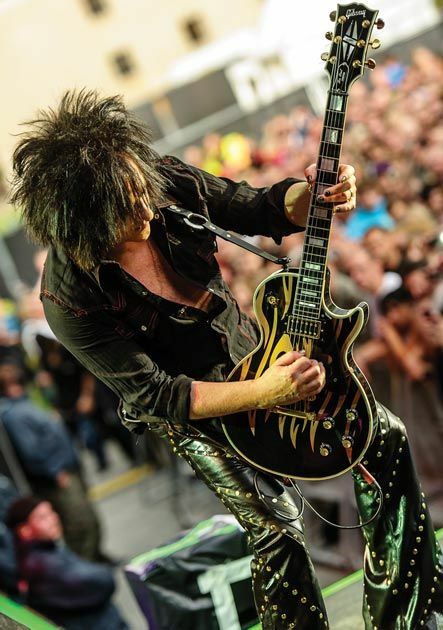 Steve Stevens absolutely had a massive part to play in the success of Billy Idol. The two of them together just had that perfect front man, guitar hero thing going that you see with Jagger and Richards, Tyler and Perry, Eddie & Dave, Slash & Axl, Page & Plant. The first video comes from a series I highly recommend called VH1 Storytellers series where they feature Billy Idol. 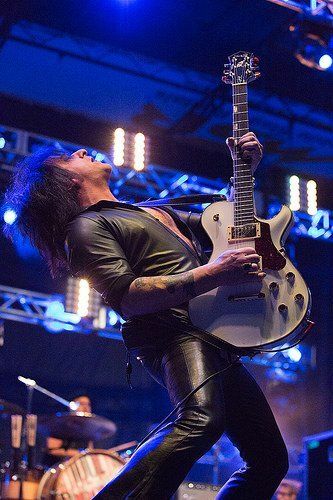 You get a really good idea of just how great Steve Stevens is when you watch that DVD, the guy plays an acoustic guitar at the kind of speeds you expect out of his electric stuff. I have included a clip from that series, check out the solo. Steve and Billy have such good energy together, it shines through and he has a co-write on all Billy’s greatest hits. This second video is from a bit of his solo career, when he put together his outfit called the Atomic Playboys. The Atomic Playboys album was released back in 1989, it had the great album cover done by the legendary H.R. Giger cover of Alien fame. Steve did some of the vocals and a guy called Perry McCarty was also credited with vocals. He also has South African Anton Fig on drums. Born in Cape Town in 1952 the list of top guys Anton Fig has played for is a long as your arm. Check out these video’s and enjoy the talent that is Steve Stevens. Love the hair, that was how things used to roll in the 80’s.